Scientists within Plymouth University’s Marine Institute are to be part of a new EUR 17 million EU Horizon 2020 funded research project that will test a new energy converter at Wave Hub, off the north coast of Cornwall. The five-year Clean Energy From Ocean Waves (CEFOW) project is being coordinated by Nordic company Fortum and will involve a new design of convertor called ‘The Penguin’ – designed by Finnish firm Wello. 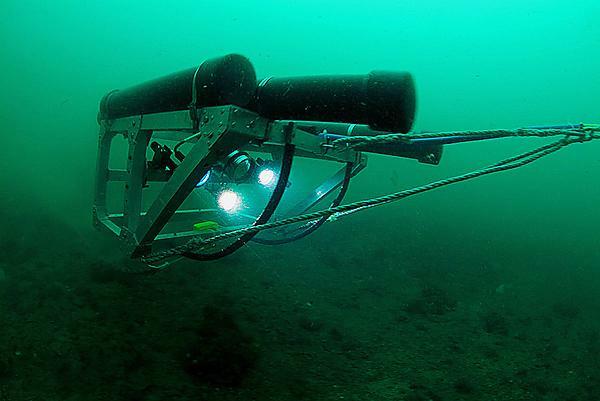 Dr Emma Sheehan, a Research Fellow in the Marine Institute, will lead a team of Plymouth scientists, in conjunction with academics from the University of Exeter, to assess how this device interacts with the marine ecosystem. “Wave power may play an important role in the future as an emissions-free energy production form, and that is why Fortum is participating in the research and development efforts. By this project we are expecting to increase our capabilities and skills in the field of wave power. We believe that the funding from the European Commission and the experienced collaboration partners create excellent conditions for making great strides forward in commercialising Wello’s wave power technology. On a global scale, this project is at the vanguard of wave power research." The partnership also includes Mojo Maritime Ltd, Wave Hub Limited, Green Marine (UK) Ltd, and Uppsala University.